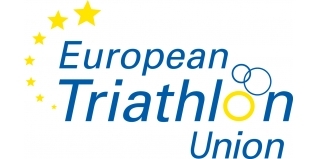 British Triathlon were among the winners on Saturday night in Paris, at the inaugural European Triathlon Union Gala Dinner, held at the impressive Comité National Olympique Sportif Français (C.N.S.O.F). The evening followed the annual ETU President's Conference held all through Saturday, which featured representatives from 33 European Federations plus many event organisers and Local Organising Comittees, discussing and making plans for 2016 and beyond across the extensive range of ETU operations. The evening Gala Dinner was a new addition to the schedule this year, and Tri247 Editor John Levison was honoured to have been asked to MC/compere the event, which saw something of a 'girl power' trio of specially invited guests who spoke at the dinner. These included a legend of European triathlon, Vanessa Fernandes from Portugul, the inspirational Camilla Pedersen from Denmark who spoke of her recovery from a coma in 2013 to with the ITU World Long Distance Championship in 2014, and finally the ITU President, Marisol Casado from Spain. The evening and guests also paid their respects and memories to French Olympian Laurent Vidal, who died in November last year, at just 31 years of age. The audience spontaneously rising to its feet and clapping on the conclusion of a short video of his career highlights, was a fitting respect for a great athlete and much loved person. There were six new awards initiated, and British Triathlon were awarded the National Federation of the Year, ahead of the other nominees from France and Spain, in large part due to the success of the British Age Group programme. "for the performances of its elite and para athletes and for its unrivalled Age Group participation. The presence at every championship of a large team wearing national uniforms helps create a special atmosphere and is a shining example to other federations."